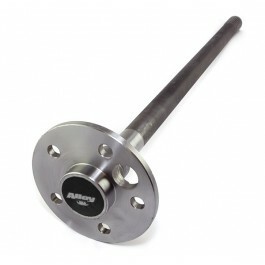 Our axles are made from 1541H or 4140 steel depending on the application. Each axle is heat-treated and induction hardened to have twice the tensile strength than stock and is up to 25-35% stronger. We use the latest cold spline rolling technology to produce splines that are stronger than traditional cut splines. No cuts means no edges which create stress points and can lead to fracturing.